Oswego Iron Co. L.O. Chamber of Chamber. Label: Mrs. Robert Arneson, North Shore Road, Oswego, Oregon. Description Pin holes, corners worn. 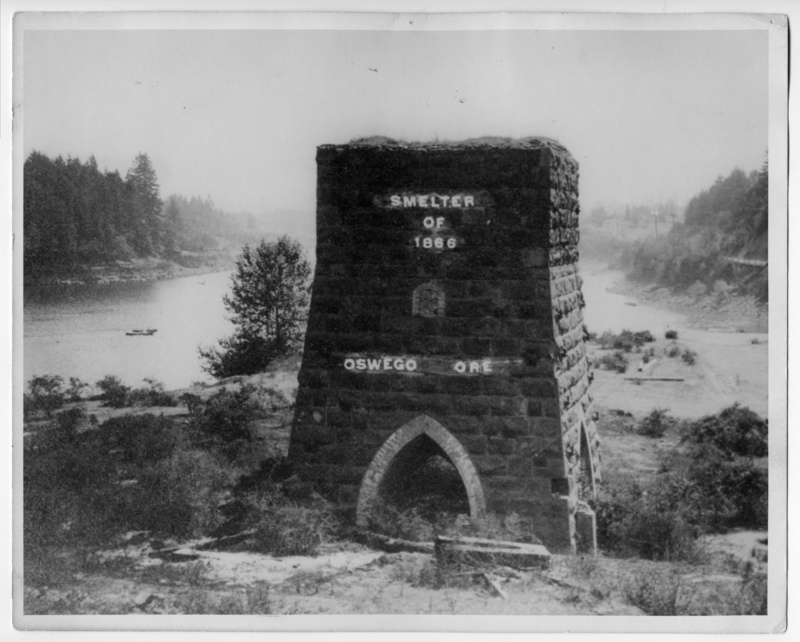 Printed on photo: Smelter of 1866, Oswego, Ore. Location now George Roger's Park. Transcription Oswego Iron Co. L.O. Chamber of Chamber. Label: Mrs. Robert Arneson, North Shore Road, Oswego, Oregon.